When Roy and Jennifer Dixon’s kitchen was transformed into a spacious, modern living area, their standard of living improved dramatically. 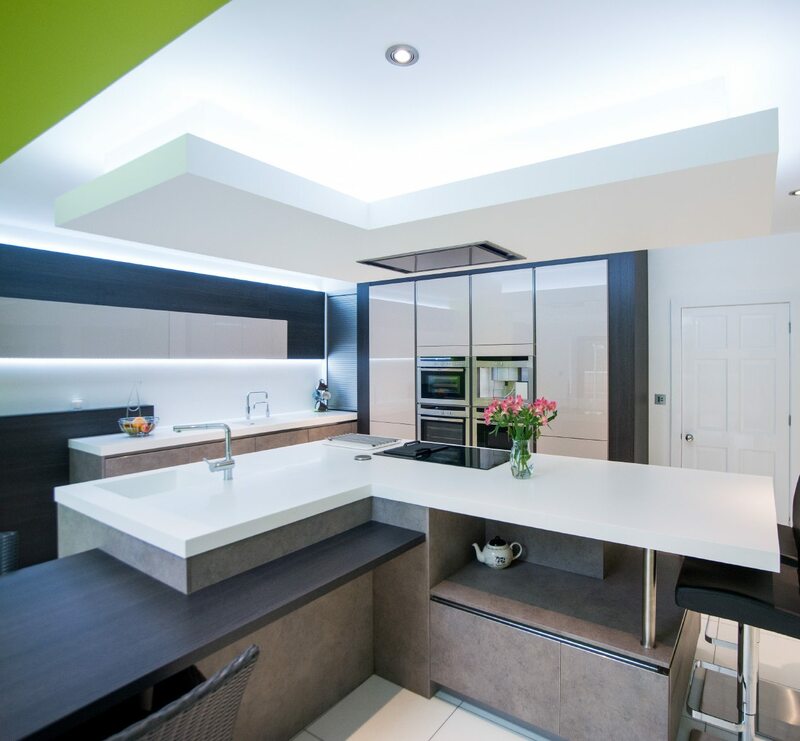 The old room was cramped and difficult to work in – so converting it into a spacious, modern kitchen was an absolute necessity. The couple wanted a complete change. In addition to not being particularly roomy their traditional style kitchen felt dark. But, in a short space of time, the room was transformed into a light, airy and contemporary kitchen with all the latest appliances. 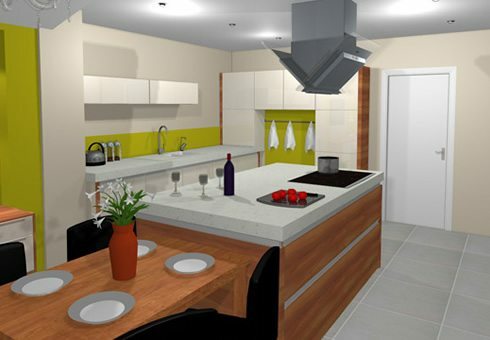 Roy and Jennifer did not know exactly what they wanted from a new kitchen, so Kitchen Design Centre made several design drafts for them to choose from. 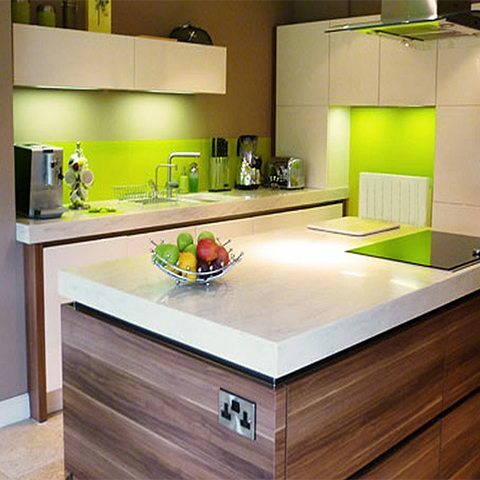 The idea was to make the kitchen transformation process painless, fun and inspiring. The contemporary kitchen’s new dining area has completely altered Roy and Jennifer’s day-to-day lives. With an array of innovative appliances the kitchen boasts three ovens and eco-efficient hobs – as well as all the usual utilities such as a dishwasher and a microwave. There is also a permanent boiling water tap, a Quooker. 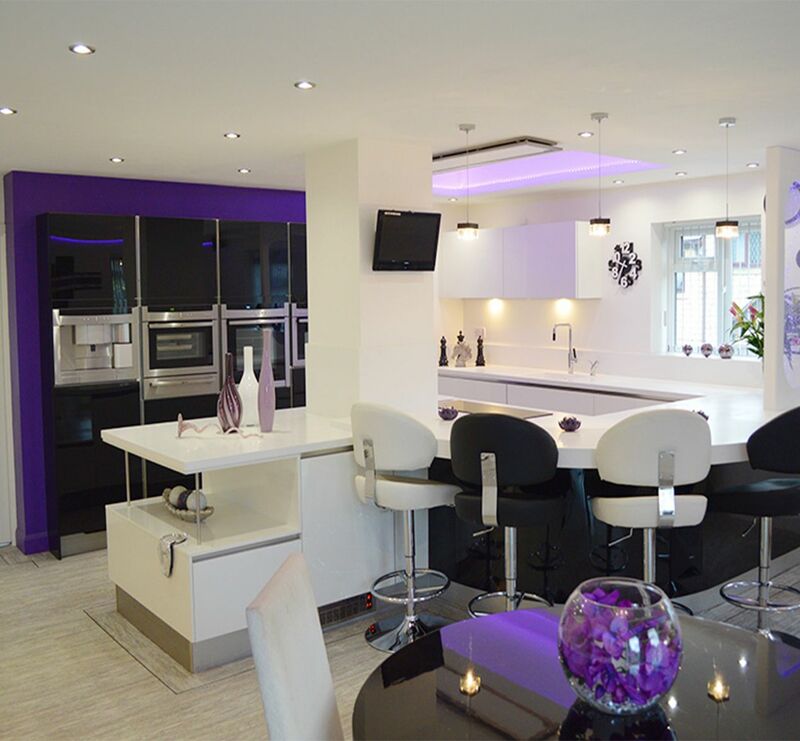 The Dixon family say their kitchen was even more amazing than they imagined it would be. 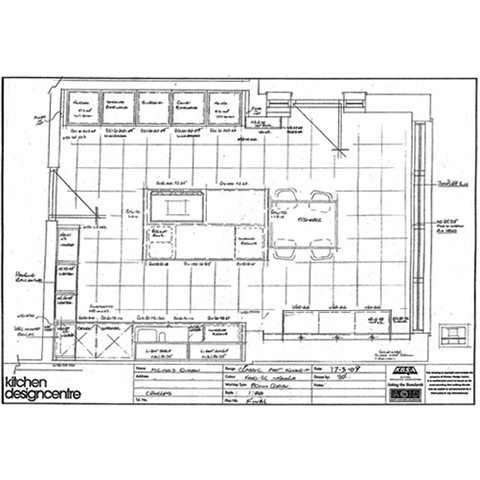 Jennifer was particularly impressed by the excellent service Kitchen Design Centre offered. “Kitchen Design Centre was fantastic. Every member of staff put their all into it. 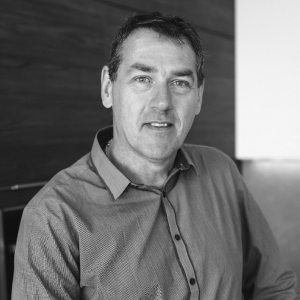 "Previously, we had to eat in the dining room. Now, the option of eating in our beautiful new kitchen makes our lives much easier." 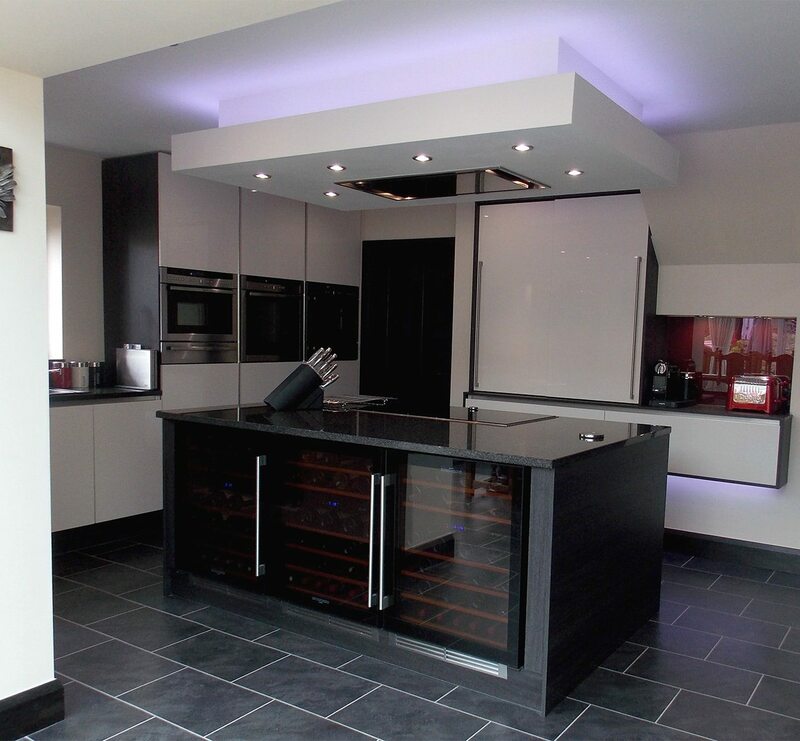 "The inspirational way we changed the kitchen was to have a work-top island in the middle of the kitchen. It makes the room feel noticeably more spacious and really unlocks the true potential of the room." "We also added a dining area, complete with a television for added space and comfort."